Let the anniversary celebrations continue! In the wee hours of this morning, the first first-anniversary event ended in Animal Crossing: Pocket Camp (Free). That means it’s time to shift focus from collecting and sharing bugs to collecting rainbow gyroidites scattered across the game. 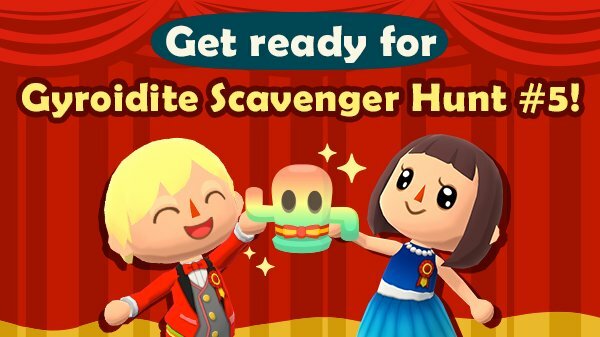 To really get the anniversary party going, the Anniversary Scavenger Hunt will reward players with exclusive clothing items that their villager and visiting animals can wear. These clothes are just perfect to sport while walking down the red carpet (earned in the last event) – and remember to smile for the paparazzi! Rainbow Gyroidites can be found across Animal Crossing: Pocket Camp, quite often. You won’t find them at your campsite, but each search should bring you everywhere else: Lost Lure Creek, Sunburst Island, Saltwater Shores, Breezy Hollow, the Market Place, and even OK Motors. You’ll also be able to find them periodically through Shovelstrike Quarry. 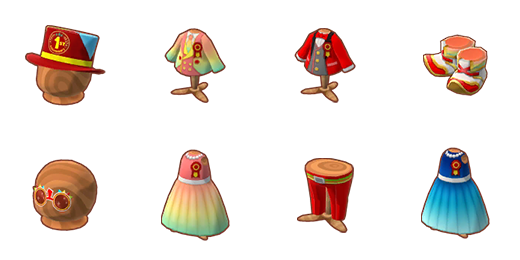 The first-anniversary top hat costs 80 gyroidites and 1,920 bells. The first-anniversary sunglasses cost 10 gyroidites and 240 bells. The happy party tuxedo is a premium item and costs 90 Leaf Tickets. The happy party dress is a premium item and costs 90 Leaf Tickets. The red party tuxedo costs 60 gyroidites and 1,440 bells. The party slacks cost 20 gyroidites and 480 bells. The party boots cost 5 gyroidites and 120 bells. The blue party dress costs 60 gyroidites and 1,440 bells. Collecting first-anniversary candles (the reward is a first-anniversary cake) continues during the anniversary gyroidite event and into the final event of the festivities, the fishing tourney. The Anniversary Scavenger Hunt runs until November 21 at 1 a.m. EST. At that time, the Anniversary Fishing Tourney will begin. While the Anniversary Garden Event rewarded decorations and the Anniversary Scavenger Hunt rewards clothing, the Anniversary Fishing Tourney will round out the celebration collection with yummy desserts to decorate with.